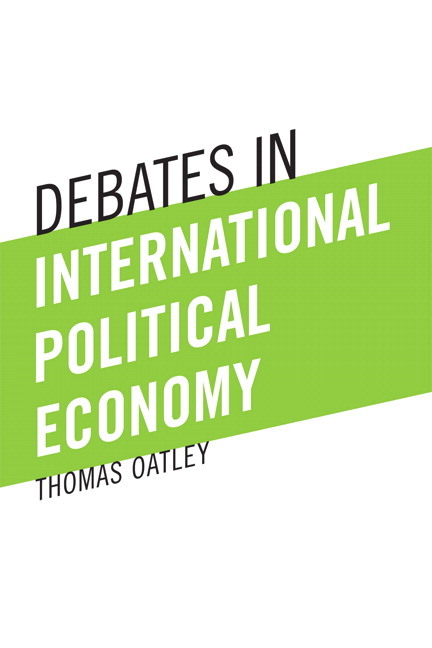 Debates in International Political Economy organizes writings by leading scholars and practitioners into debates on current global economic issues. Balancing how international controversies are talked about in academic literature and in the news, the diverse topics and selections in this reader broaden knowledge of international political economy and facilitate critical thinking. Debates in International Political Economy not only covers issues of contemporary and conceptual interest but also helps students take a position on economic affairs that affect their lives. Broadly viewing the global economy as a political competition that produces winners and losers, International Political Economy holistically and accessibly introduces the field of IPE to students with limited background in political theory, history, and economics. Surveys concepts in five core areas—international trade, multinational corporations, international monetary issues, developing countries, and globalization and global governance. Presents two brief and accessible readings per debate which present distinct arguments about a major international relations issue. Draws selections from a wide variety of sources like academic and policy journals, popular publications, and public speeches. Includes debate introductions that guide students’ reading by highlighting key points in each selection and by posing critical thinking questions that emphasize the theoretical and the empirical. Thomas Oatley is Associate Professor of Political Science at the University of North Carolina at Chapel Hill.